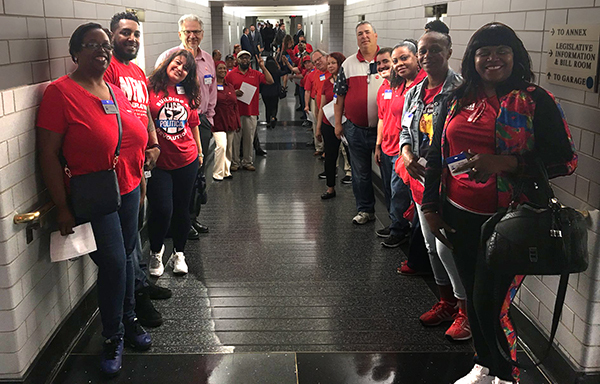 CWA, NABET-CWA, and the NewsGuild-CWA filed a petition this week with the FCC to deny the potential merger between Sinclair Broadcast Group and Tribune Media Company, saying that the merger does not serve the public interest. 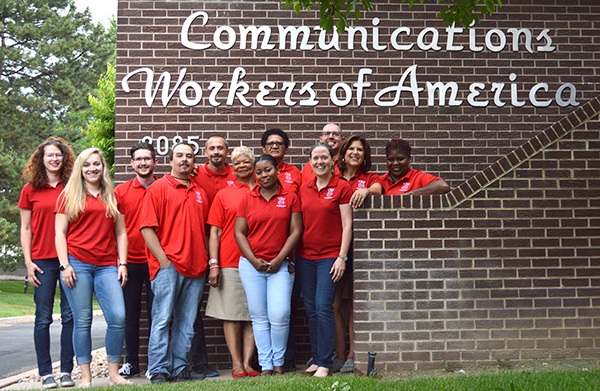 In the petition, CWA points out that the potential Sinclair-Tribune merger would reduce competition, harm local news coverage, and eliminate jobs, while noting that there is broad opposition to the Sinclair-Tribune merger among labor unions; civil rights, consumer, and public interest organizations; cable, satellite TV, and rural broadband providers; independent news and entertainment programmers; as well as many members of Congress, state attorneys general, and members of the general public. The petition also points out that Sinclair has a long history of scaling back quality news and cutting jobs, and that when Sinclair buys a station, cutting local news operations is not far behind, citing examples from across the country. "The Commission should deny the Sinclair-Tribune merger," CWA concludes. Digital First Media (DFM), the country's second-largest newspaper chain, is owned by Alden Global Capital, an extremely profitable hedge fund. Despite earning far higher-than-average profits, DFM papers have been laying off staff at twice the industry rate. A new video from DFM workers examines how the hedge fund-owned company has gutted local news organizations across the country and how NewsGuild-CWA members are fighting back. 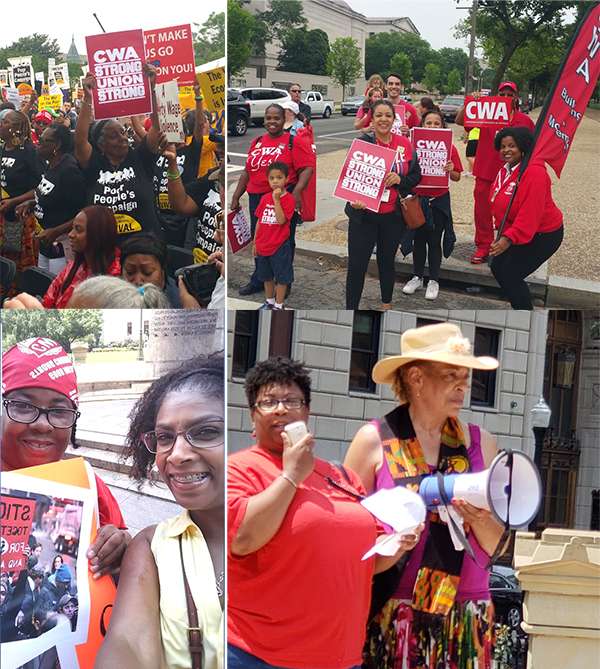 Over the past month, CWAers in more than 30 states have engaged in actions as part of the renewal of the Poor People's Campaign to mobilize against the structures that are supporting economic injustice and undermining our democracy. Advocates and supporters of the Poor People's Campaign converged from all around the country in Washington, D.C., (top two photos) on June 23 for a mass rally and global day of solidarity. CWAers also joined a rally in Columbus, Ohio. Speaking at the Washington, D.C., rally were CWA District 6 Vice President Claude Cummings, Jr., who heads CWA's Human Rights Program, and CWA Local 2222 member from AT&T Mobility, Sharita Bryant. The Trump Administration came out with a new proposal this week to merge the Department of Labor and the Department of Education, a move that would weaken programs that serve and protect working families and concentrate even more power in the hands of large corporations. For more than 100 years, the Department of Labor has had a unique and specific mission – to promote and develop the well being of working people in the United States, to improve working conditions and workplace safety, and to enforce the laws that protect our rights in the workplace, including the right to join together to negotiate for better wages, benefits, and working conditions. While the Department of Education is a newer agency, its mission is no less important. It is responsible for making sure our young people are well-educated and have equal access to education and that our schools are free from discrimination. "The Administration wants corporations to have more power over our lives. But children need a Department of Education that stands up for them. Working people need a Department of Labor that stands up for them. 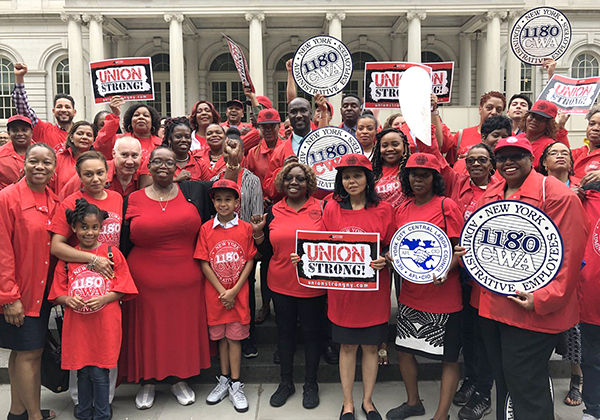 This radical plan would weaken both agencies, leaving working people and children more vulnerable to corporate abuses at work and in the education system. We urge Congress to reject this ill-conceived plan," CWA said in a statement.